I think about a year ago a similar thing to this happened only Lily was a year younger. 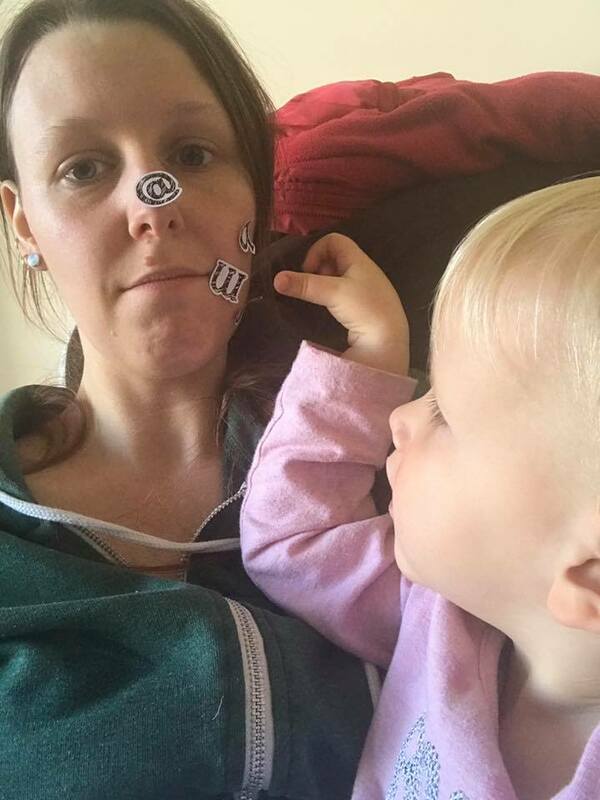 I think I resulted with 1 sticker on my face and well this time Lily is much better with stickers and can remove them from a sheet of stickers herself. 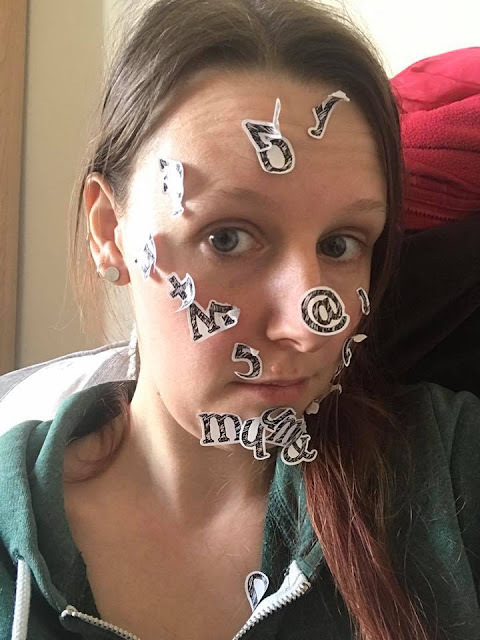 So this time I ended up with almost the entire alphabet in sticker form on my face. 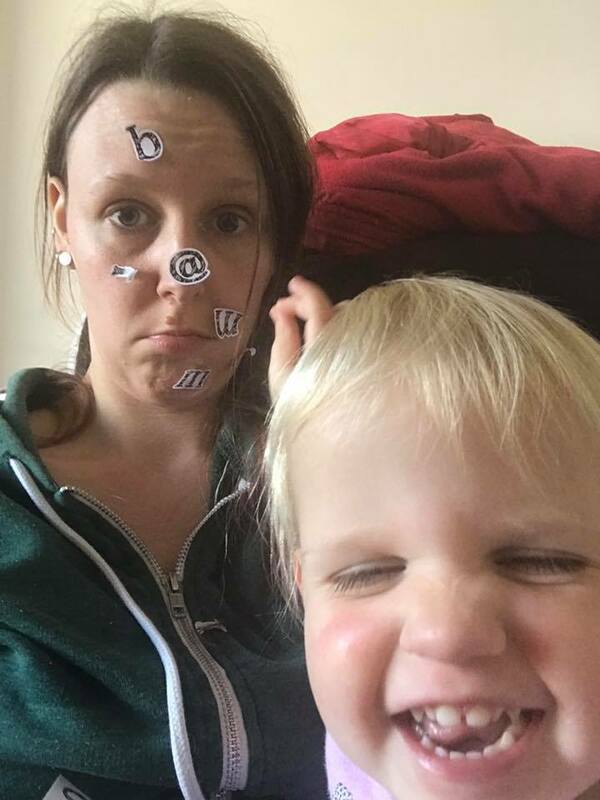 I do love these photographs showing me not to pleased but to tired to stop her and the evil little grins and laughs that Lily is giving in the photographs. 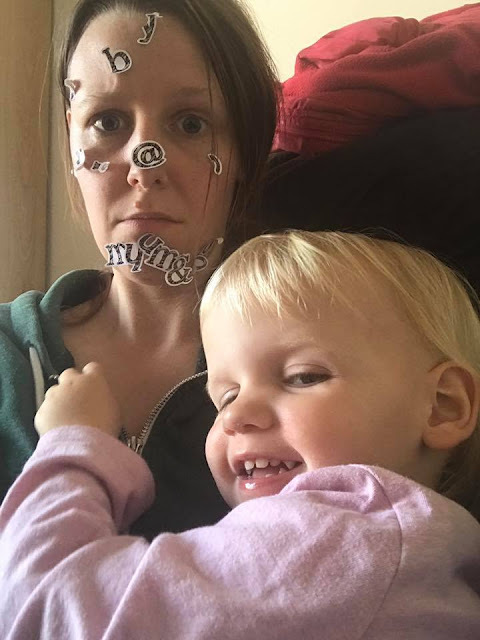 Definetly a fun mummy and me moment from this month.